This should be about Blake Swihart’s first major league home run. I should be writing about how Swihart persevered on the defensive side by wrangling Steven Wright’s knuckleball and help the starter triumph thanks to his third-inning solo shot. But instead Wright’s four-run lead evaporated in the fifth inning with Torii Hunter’s three-run homer. Wright notched two outs in the sixth inning but had difficulty nailing down the final out. 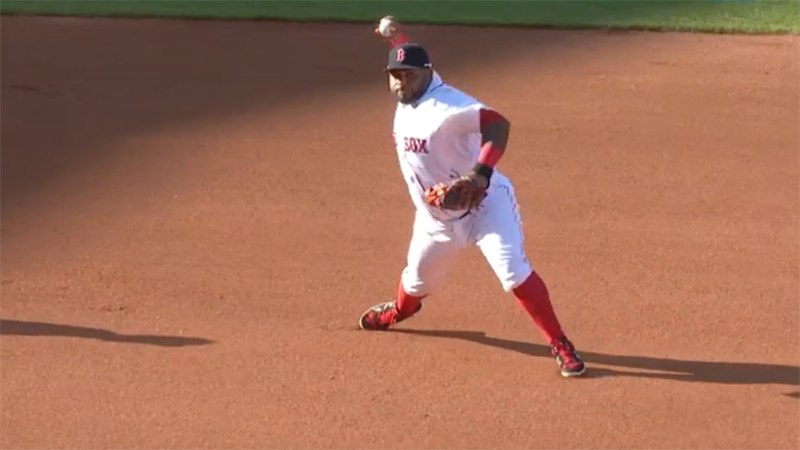 Pablo Sandoval fielded Eduardo Escobar’s ground ball easily but uncorked a poor throw to allow the Twins shortstop to reach second base. Kurt Suzuki lined a single to right to tie the game. Koji Uehara wasn’t helped by his fielders, either. Brian Dozier led off the ninth with a single that might have been caught by a more proficient left fielder than Hanley Ramirez. Hunter followed with a single to short. Joe Mauer bunted and Swihart scooped it up. 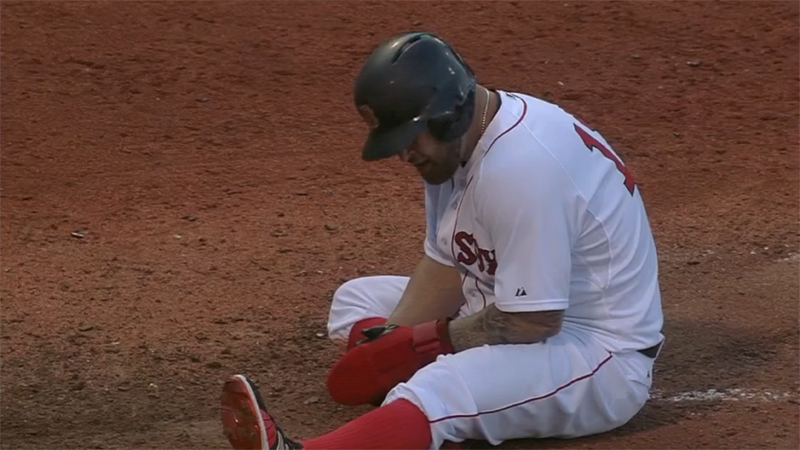 Swihart fired a low throw to Sandoval but it was catchable. 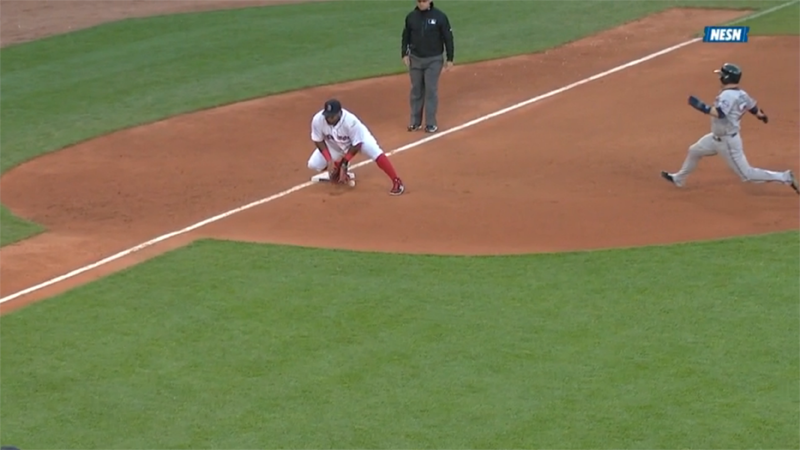 The ball skittered under Sandoval’s glove and Dozier crossed home to give the Twins the lead. Minnesota went on to score three more runs in the last frame, an insurmountable lead for the inconsistent Red Sox offense. Like his favorite football team the Patriots Brian Butterfield came under heavy fire. His decision to send Mike Napoli home in the seventh inning was roundly criticized, but John Farrell defended the third base coach’s aggressive approach.